"Amazing homes with lush landscapes await in this hidden sanctuary." Have you just wandered into a gallery where paintings come to life? Moments past the 24-hour security gates, the traffic snarls and city buzz fade off. Birdsong and garden sounds take over. The feast spreads with every shift of angle. Here, Sierra Hijauan's homes will take their places among the beautifully proportioned landscaped master plan. "For me, a landscape does not exist in its own right, since its appearance changes at every moment; but the surrounding atmosphere brings it to life - the light and the air which vary continually. For me, it is only the surrounding atmosphere which gives subjects their true value." Amidst walls of greenery, glimpse doors that lead into the types of homes set in thematic phases. Modernist inspired, open-plan tropical or modern contemporary, in spacious luxury. Every home assures peace of mind with its in-built smart home security system. Enter into living rooms that flow post kitchens designed to pleasure cooks. Open plan spaces open up dining options and individuality. Among these choice homes, some come with backyards of shimmering pools perfect for invigorating dips. 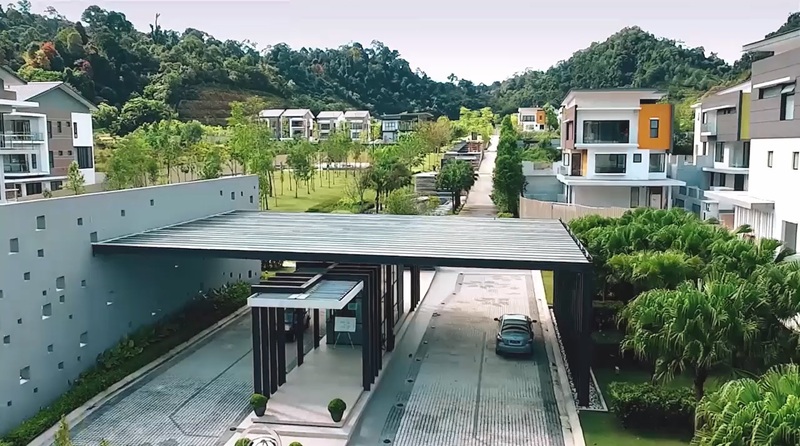 Nestled among the foothills of the Ampang Forest Reserve, this is an exclusive sanctuary that is a close to nature as can be. Exquisitely landscaped gardens and terraces make Sierra Hijauan an oasis of tranquality and beauty but better still, it is home. Inspired by both nature and gardens, the homes are intricately designed to bring as much of nature in but yet retain the luxury that Sierra Hijauan stands for. A lifestyle that is filled with delight and a magical quality, fascinating and utterly charming.